The winning ticket for a $315.3 million Powerball jackpot was sold in New Jersey, lottery officials said Sunday. 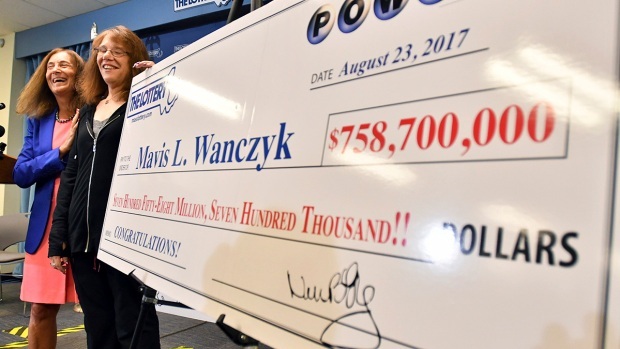 The winning ticket will be worth $183.2 million cash, officials said. The ticket was sold at the Shopright on South River Street in Hackensack, said John M. White, the acting executive director of the New Jersey Lottery. A ticket winning $1 million was also sold in New York. Tickets were also sold in New Jersey that wone $150,000 and $50,000, officials said. The winning numbers in the May 19 drawing were: 03-06-09-17-56, Powerball 25, Power Play 3X. White said the winner should sign the back of the ticket, make a copy of both sides, put it in a safe place and then contact lottery headquarters. In March, a New Jersey man who was playing for only the second time in his life won a $533 million Mega Millions jackpot. He bought the ticket at a Lukoil station in Riverdale.